Easily create banners, arrows, tabs and more with this Washi Chomper! 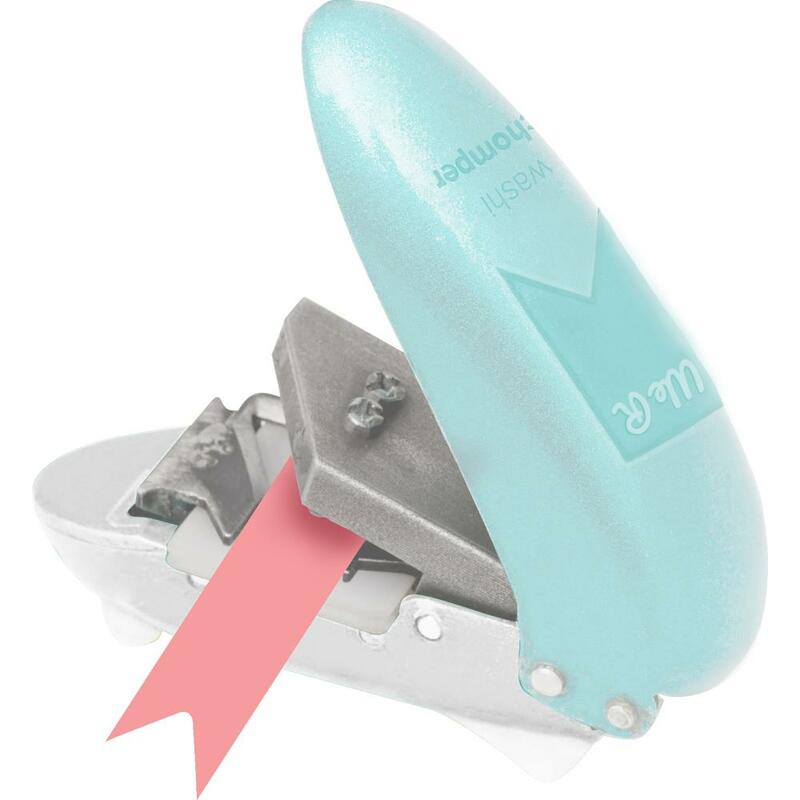 In addition to washi tape, this tool also cuts ribbon, paper and other materials. Perfect for planners, cards, layouts and more! This 4.25x7.5 inch package contains one Washi Chomper.